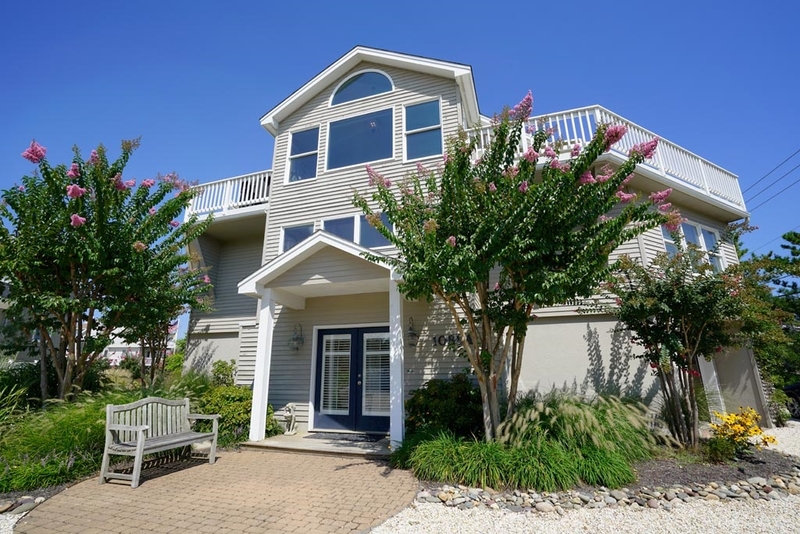 Be calmed by the murmur of the sea lying beyond the inviting decks of this stunning bayside contemporary. Stroll to the end of your lane to kayak with the kids or grab the suntan lotion and chair and head to the beach just opposite. Livin' is easy in this graceful, immaculately kept home with lavish soapstone kitchen, four bedrooms and 2.5 baths. Ample decking and ocean and bay views from the light and airy interior spaces. Close to Surf City's fine restaurants and neat shops.